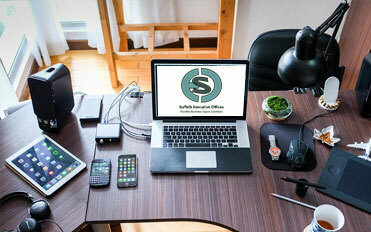 Suffolk Executive Offices | We run your office, while you run your business. Our mission is to provide you with the professional space needed to conduct and grow your enterprise. Visit us today and reserve your own spacious furnished office. Many offices feature panoramic views of downtown Suffok. Offices are within walking distance to local restaurants, government offices, and retail businesses.. Parking onsite is abundant. 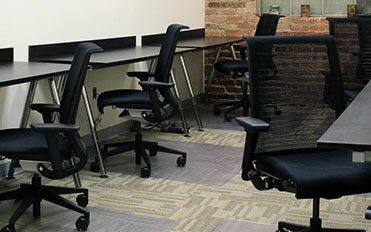 Our collaborative work space is perfect for startup businesses, and work from home professionals. 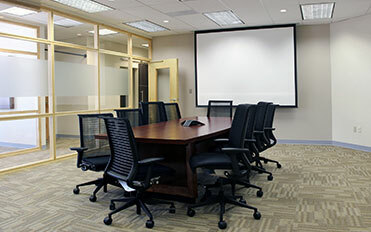 The conference room features conference phone, projector, and computer connection. 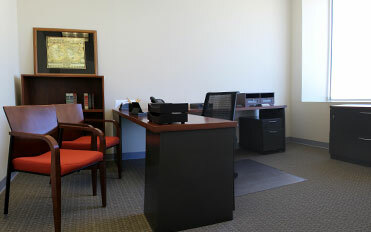 Suffolk Executive Offices has the full-service solution with executive private suites. Each private executive office is yours and yours alone, and we help eliminate the expense and worry of finding, maintaining and upfitting the furnishing and staffing of a traditional office. Our professional large and small conference rooms are available for corporate meetings, presentations, depositions, seminars or training purposes. They are fully equipped with updated technology to meet your needs. Coworking is the modern style of work which involves a shared work environment. Suffolk Executive Offices provides a working environment for entrepreneurs and freelancers, who want an open space to work, connect with peers, network and collaborate.